The Sunset Coalition and other petitioners are asking the California courts to consider their contention that Archer School for Girls has significantly understated the cancer risks to nearby young and elderly people caused by the school’s proposed massive $100 million expansion project. 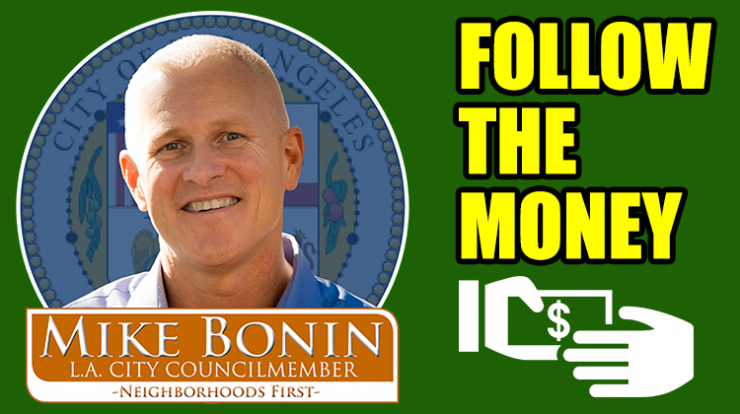 Those risks would be up to ten times greater than Archer originally estimated and disclosed to the public and the City of Los Angeles, according to the opinions of experts contained in the Coalition’s most recent court filing. The Coalition’s pending lawsuit against Archer and the City primarily focuses on the unacceptable congestion for at least three years on Sunset that would be caused by Archer’s immense construction vehicle traffic and flagmen activity (Archer estimates its project will generate over 130,000 construction vehicle trips on Sunset). Moreover, Archer’s construction activity would overlap major expansions by Brentwood School and Mt. St. Mary’s University, compounding the traffic nightmare on Sunset. The Coalition lawsuit also importantly addresses the harmful impacts of the massive Archer project on local air quality and cancer risks. The court is expected to review the Coalition’s arguments next week. To be clear, the Coalition is not accusing Archer of intentionally proposing to put anyone – including its students and staff – at risk. 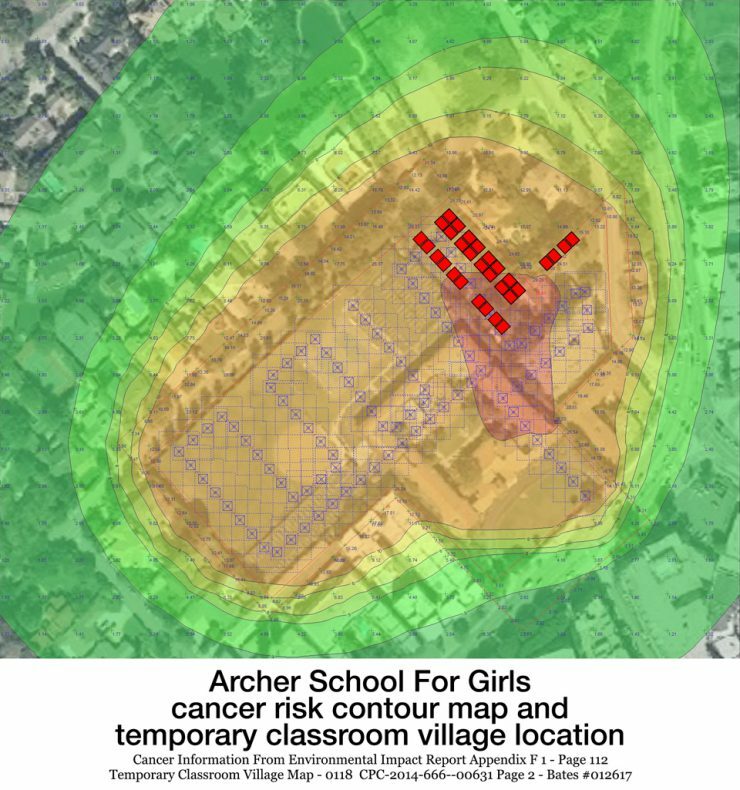 However, Coalition experts sharply disagree with Archer’s assessment of the cancer risks posed by the school’s proposed three-year construction project and believe further public disclosure and mitigation measures must be mandated by the City. Coalition experts believe Archer’s cancer risk analysis is defective on a number of fronts. Those errors fail to address the very real and serious health risks of this project for those living, studying and working for extended periods in close proximity to the Archer construction zone. The Coalition contends Archer has previously provided incomplete and dangerously flawed data regarding the health impacts of its expansion project. In the summer of 2015, for example, the Coalition’s air quality experts showed conclusively that Archer’s Health Risk Assessment (HRA) report contained a number of errors. 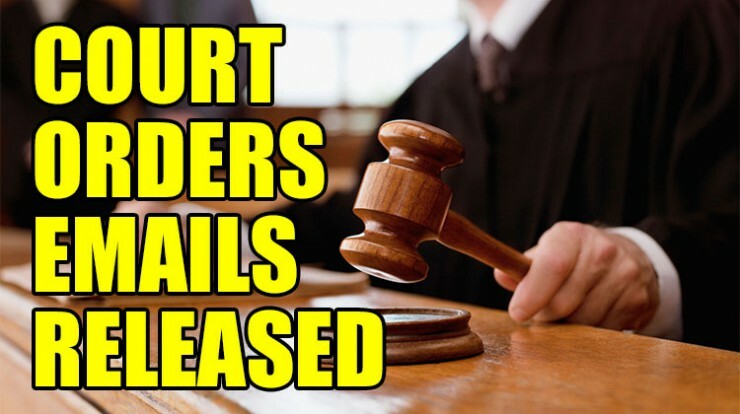 Subsequently, Archer tacitly admitted those errors and filed corrections the very day of the final City Council approval – too late for public review and comment. But even Archer’s last-minute filings were flawed, according to the Coalition’s recent court filing. Copies of those filings are posted on the Coalition’s websites, www.SunsetCoalition.org and www.ArcherDisaster.com. Archer’s transparency and credibility lapses are particularly troubling for an educational institution that should rigorously champion the openness and honest fact-finding required by the California Environmental Quality Act (CEQA). 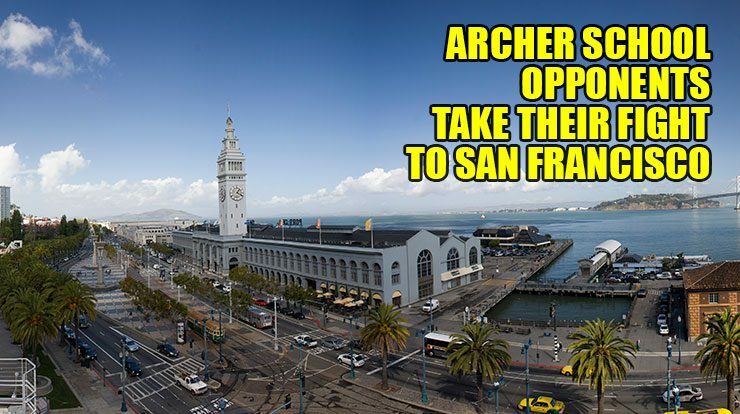 The Coalition believes it is clear Archer and the City approved the Archer project in violation of CEQA, the law requiring adequate and timely disclosure of environmental impacts and hazards posed by large construction/development projects. Archer has made flawed calculations as to the amounts of the diesel particulate matter (DPM) emissions from the heavy construction equipment (for example, earthmovers) and construction vehicles (for example, dirt and debris hauling tractor-trailers) that will be operating on its site for at least three years. Archer’s calculations significantly understate these DPM emissions, thus their potential impacts on health. Archer has failed to provide the public, as required by CEQA, with details about the scheduled operation of construction equipment and construction vehicle traffic activities that will be operating on its property during the three years of intense construction. Coalition experts point out that such detailed schedules are absolutely necessary to accurately calculate the levels of DPM and nitrous oxide emissions that would be emitted by the project and their effects on students and neighbors. The most dangerous flaw in Archer’s health risk assessment is its use of outdated 2003 information about the breathing rates of children and elderly adults – now designated as “sensitive receptors.” In early 2015 state health officials issued a best-practices guidance document stating that children and elderly adults have much faster breathing rates than the 2003 data showed and are thus more prone to be negatively affected by airborne contaminants. Local agencies were urged to take this new data into account in evaluating the health impacts of airborne contaminants on children. The City and Archer, however, declined to use this more rigorous and scientifically accurate standard. The Coalition remains steadfast in its goal of ensuring that the public disclosures of the expansion plans of Archer School, Brentwood School and Mt. St. Mary’s University obey the law and protect the health and welfare of the Brentwood and the Palisades communities. Finally, the Coalition wants to thank Brentwood News readers for their support during the past year and a Happy and Safe Holiday Season! !